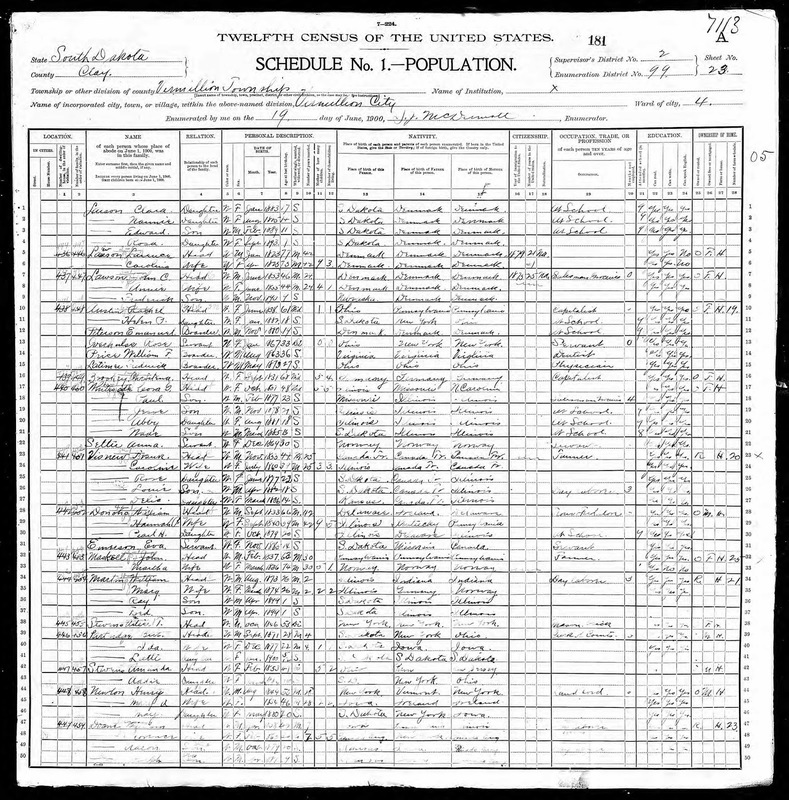 * Christena Brookey - head of household, white, female, born Sep 1831, age 68, widow, 5 children born, 4 living, born Germany, father born Germany, mother born Germany, a Capitalist, can speak English, can read, can write, owns home free of mortgage. 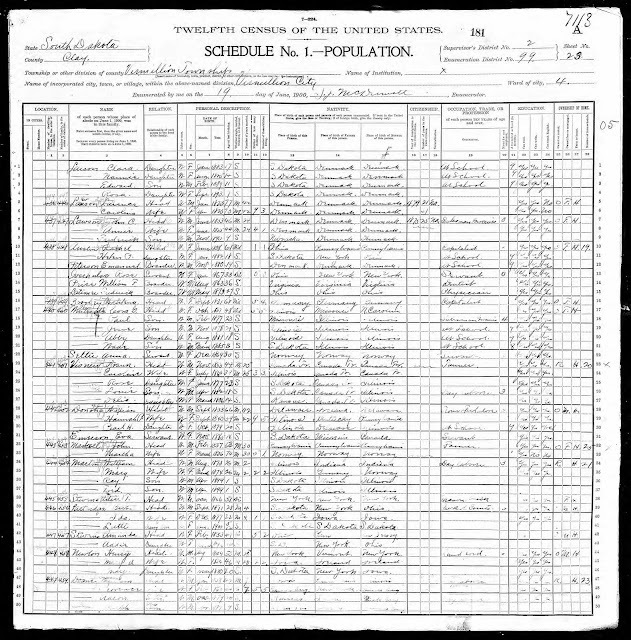 1900 United States Federal Census, Clay County, South Dakota, Population Schedule, Vermilion township, Enumeration District 99, Page 23A (stamped), Dwelling # 447, Family #450, Chrstena Brookey household; digital image, Ancestry.com (http://www.ancestry.com); citing National Archives Microfilm Publication T623, Roll 1548. Chrstina Brocke's husband, John Brocke, died in 1891. By 1900, Christina is living alone, although one of their children, Frank, was married and also residing in Vermillion. The others had gone west to Idaho. John Peter Brocke (1826-1891) and Christina (Webber) Brocke (1831-1914) are my wife's 2nd great-grandparents through theis son John Nicholas Brocke (1855-1938) who married Anna Grieser in 1877 in Cedar County, Nebraska.